Saint Louis University plans to construct a new Interdisciplinary Science and Engineering (ISE) Building on campus – a $50 million project that also includes renovation of some existing lab spaces. An artist’s rendering of the new Interdisciplinary Science and Engineering Building.The 90,000-square-foot, three-story structure will be built on the southern edge of Tegeler Field, just east of Ritter Hall. Construction will begin in November with a completion date tentatively set for summer 2020. 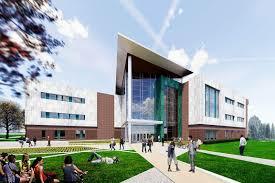 The University will finance the project through a bond issue that will be repaid over a period of years. 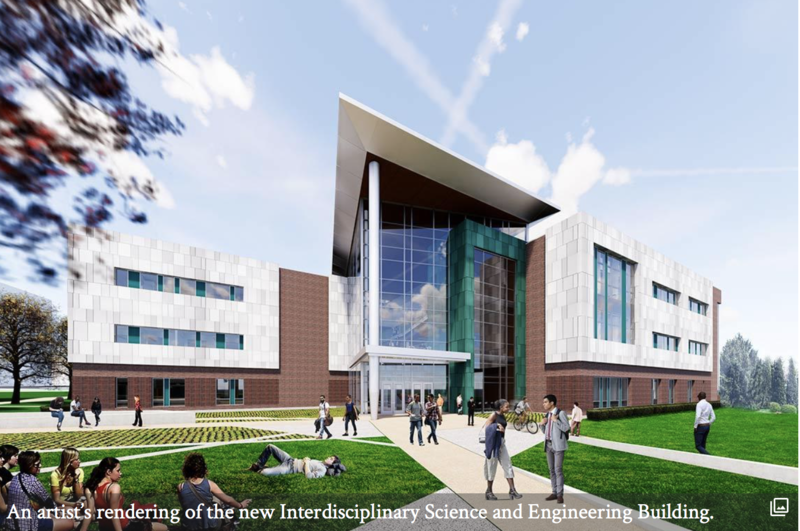 The ISE Building will be a showcase facility where undergraduate and graduate science and engineering students and faculty gather to learn, collaborate and experiment. It will feature innovative teaching environments and flexible lab spaces. The project is the culmination of a year of data collection and planning by faculty, students and administrators. Planning continues, and more details about the ISE Building will be shared after the start of fall semester. Prior to construction getting underway, Associate Professor of History Thomas Finan, Ph.D. is leading a month-long archaeological excavation on the site, which was once the location of the Camp Jackson encampment at the start of the Civil War and later became a residential area. The Dolphin Pond – first installed 26 years ago – will be removed to make way for construction, but the seven concrete dolphins won’t be going away forever. They will be reinstalled at a later date in a new pond; either near their current home or another campus location. University administrators are discussing possible new locations for the fountain with student leaders.